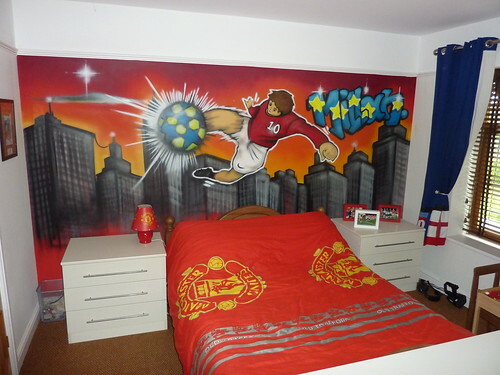 Millan from Bedford had his bedroom painted with an urban football themed mural in July 2011, with plenty of Manchester United red it really transformed his room. This entry was posted in Commissions and tagged bedroom graffiti, graffiti bedroom, graffitti bedroom, grafitti bedroom., Manchester united bedroom. Bookmark the permalink.